Caterpillars develop from eggs laid by Moths and Butterflies. There are many different species and many that produce caterpillars damaging to plants. Some of the most damaging for brassica plants are the cabbage white caterpillars; the large cabbage white (Pieris brassicae) and the small cabbage white (Pieris rapae). The large Cabbage white butterfly is a migratory species, but some do manage to overwinter as pupae. Survivors appear in March and are then are joined by others that migrate from southern Europe. These butterflies then mate and lay eggs mainly on brassicas and plants like Nasturtiums. Eggs hatch into caterpillars in about 10 days and feed rapidly. There are normally 2-3 generations per year from March-September. Another damaging species is the Cabbage moth. Fruit trees and ornamentals are also subject to attack from other caterpillars including; Codling moth, Plum fruit moth and winter moth. Codling moths appear in late May-June. Their eggs are laid near or on developing fruits from June-July. The emerging caterpillars are small and white with a brown head. Once they have finished feeding on fruits they fall from trees to the ground and pupate in the soil ready to overwinter there. Plum fruit moths follow a similar life cycle. Winter moths emerge from pupae in the soil from November to January. These pupae then crawl up tree trunks to lay eggs but this ascent can be prevented by applying glue bands or insect barrier glue. The eggs hatch when the buds are opening and the developing caterpillars then start feeding. These caterpillars are pale green and about 2-2.5cm long. They stop feeding by early June. 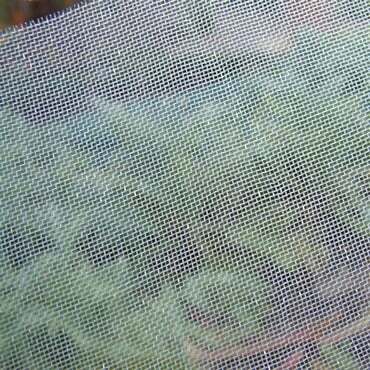 The caterpillars attacking brassicas can practically destroy a vegetable plot in not time. The large Cabbage white eats the outer leaves of vegetable plants and the small Cabbage white caterpillars tend to eat the hearts of plants like cabbages. 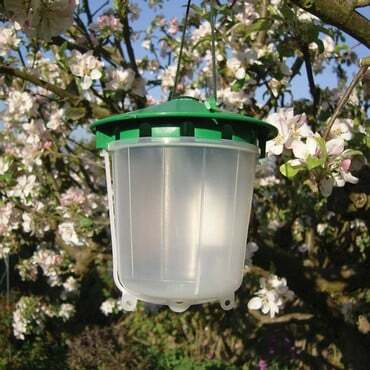 Codling moth caterpillars tunnel into the fruits of apples and pears from mid-summer to the autumn. Holes can often be seen on the fruit and the core will be eaten or damaged when you open the fruit up. Plum fruit caterpillars make plums look dehydrated as they feed from within. Winter moth caterpillar damage is first seen in the spring. Leaves are bound together with silk threads and are damaged by feeding. Later in the summer expanded leaves show small holes. Fruitlets can also be damaged and fail to develop fully. 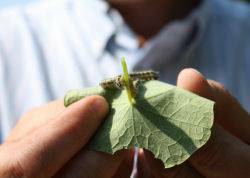 Prevention and monitoring plays an important part in a strategy to contain and control damage from caterpillars. 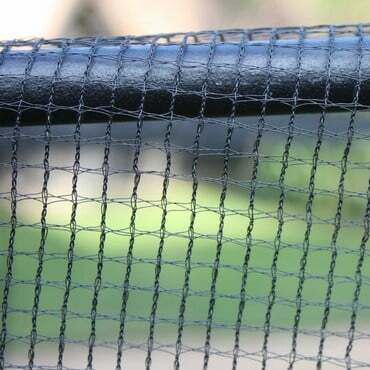 Netting and fleece can protect plants from egg laying on brassicas and pheromone traps can warn of attack from codling moth and plum fruit moth on fruit trees. 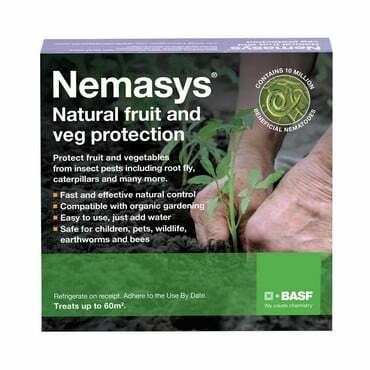 Nematodes also provide a fast and effective natural solution and Namasy Natural Fruit and Veg Protection will provide control for up to 6 weeks.